Business is booming in the fintech sector worldwide, but nowhere more than the UK. UK fintech week could be a possible reason for the explosion of fintech firms. Many entrepreneurial developers are clamoring to take advantage of all the possible fintech business opportunities that are out there. If you are one of those entrepreneurs, there are quite a number of UK fintech trends that you can learn from to start your own fintech business. Learn about the latest fintech trends and developments below. This will offer much more motivation to start your business than any inspirational motivation quotes ever could. 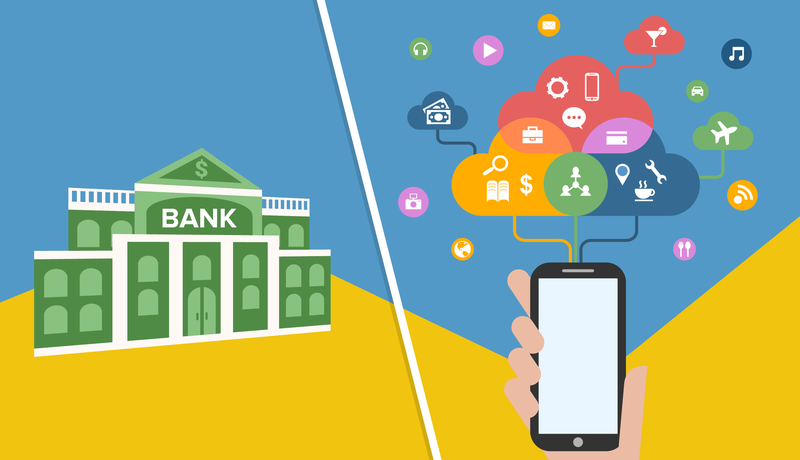 Open Banking is perhaps the most important of the newest UK fintech trends for entrepreneurs to pay close attention to. Open Banking is a new directive that requires institutional UK banks to grant third-party access to their data. This access will be available for data as specific as users’ current account transactions. The Open Banking directive will be rolled out in January of 2018, as per the second European Payment Services Directive, or the PSD2. This is huge news for potential fintech entrepreneurs, who can greatly benefit from this data access. Millennials are said to be the driving force behind the rise of fintech applications. Trends show they will continue to be the pace setters for future fintech development. This means that future fintech companies, like yours, will need to meet millennial demands if they hope to have any shot at success. Millennials prefer to patronize businesses that prioritize transparency, digital solutions and offering personalized services. Keep this in mind if you plan to start a fintech business in the coming years. Artificial intelligence applications within fintech are just beginning to be experimented with. In the coming years, financial services will need to harness the powers of artificial intelligence computing. This will help them create unique, personalized products and solutions that modern customers demand. For developer entrepreneurs looking to break into the UK fintech industry, finding new applications of artificial intelligence to improve consumer banking and financial services is one way to earn yourself entry. The presence of insurtech is rising, and promises to grow even more in the coming years. New insurtech firms are springing up across the UK. This is happening in response to the lack of insurance services technology solutions available on the market. If you want to start a business in a specialized sector of the UK fintech industry, insurtech applications may be the online presence to establish. Brexit has led some to question the stability of the UK fintech presence. Many fear that Brexit will stifle Fintech innovation in the UK. This would, of course, lead fintech businesses to relocate to other competing financial centers, like Berlin or Paris. However, some experts argue that the lower value of the pound will make UK fintech providers much more attractive to commercial businesses looking to keep costs low. This is certainly a possibility. Just be sure to stay abreast of Brexit effects on fintech development and operations. This way, you can be certain of the effects it will have on your future fintech business. For those entrepreneurial developers who are always looking for new ways to improve consumers lives, the UK fintech sector has probably caught your eye long before you would ever entertain the idea of starting a agriculture business. Rightfully so. The UK fintech sector is booming. Brexit has called these developments into question. But, the exciting fintech trends and developments above show no signs of slowing down. Consider these financial technology trends to start a business in an area with high demand and huge possibility.